The coming months will bring some new features and ideas that we are very excited about and want to give a quick preview of what to expect. For most of these, we will be looking for early feedback so if you are interested in trying out some new toys and helping guide the development of the sites, let us know! The new Couture SnapShots will provide BlogSite owners premium designs that “snap” into place. They will come with easy to activate settings that bring a new look to your site and will even include layered Photoshop files, allowing further customization. All of our BlogSite themes are extremely customizable but these new design starting points will help you take your site to the next level. We have been able to build a lot of great tools for the photographers and creative professionals using our sites. They have been tested by our users for over two years now. But most of the tools built within our system have only been available to our hosted sites. Starting in February, we will start making plugins available to everyone. Some will be free. Some will be premium (paid) plugins that will be available in our new Marketplace. All will be tools built for photographers, based on feedback and years of working with photographers. The Couture SnapShots and plugins and more will all be made available in a new Marketplace, to be launched soon. We have been planning and building this behind the scenes and are looking forward to starting a whole new way to help creative professionals create a better online presence. 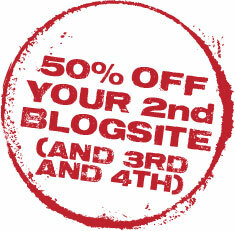 50% Off Your Second Site! Now, Easier To Set Up With… SnapShots! Special Discount – 1/2 off Additional Sites! Have ever wanted to start a 2nd or third arm of your business? Boudoir, commercial, a new product line, workshops? We want to make it really easy to take that leap. If you have at least one site that is currently paid, you can get any number of additional sites at 1/2 price. All you need to do is create a new site while logged in under your same username. When you visit the Blog Account page, all prices will marked down. Yes, you heard that right. 50% off! ANYTIME. And to make things even easier, we are happy to announce a very cool new feature that we are calling “SnapShots”. If you want to keep a similar look and keep some brand recognition on your other sites, you can use our new SnapShot tool to save, export and import style settings between sites. By simply copying and pasting your exported settings, you can spin-off a second site with the same exact look! On the most basic level, SnapShots allow you to save your site’s style settings. This means you can save a look, change it and go back to a SnapShot at any time. You can create multiple looks for time of year, holidays, or any other reason then save them and switch between them at any point. You can experiment with new looks for your site and go back to any one of them if you don’t like what you came up with. You can also export your settings and start a second site with the EXACT look of the first site. Imagine starting a new portrait or boudoir business that you want to have a separate site for. Using a SnapShot of your main site, you can instantly keep the branding consistent. And if you ever change the design, you can just export and update the second site in seconds. Over the coming weeks, we will be releasing our own SnapShots to the entire Photography BlogSites community, available for free. For new users, these will be great starting points for your site. For current users, it will be like we just released a whole bunch of new themes. Each SnapShot includes the theme it was built on. We will have SnapShots based on all of our themes, adding new color schemes, moving page layouts and more. You won’t need to worry about which theme you use or which theme the snapshot is based on. When you select a SnapShot, the site automatically changes the theme. As we release new SnapShots, the idea of “themes” will start to become less important. In some ways, we could develop one theme and build snapshots that do everything we need for a new look or feel. 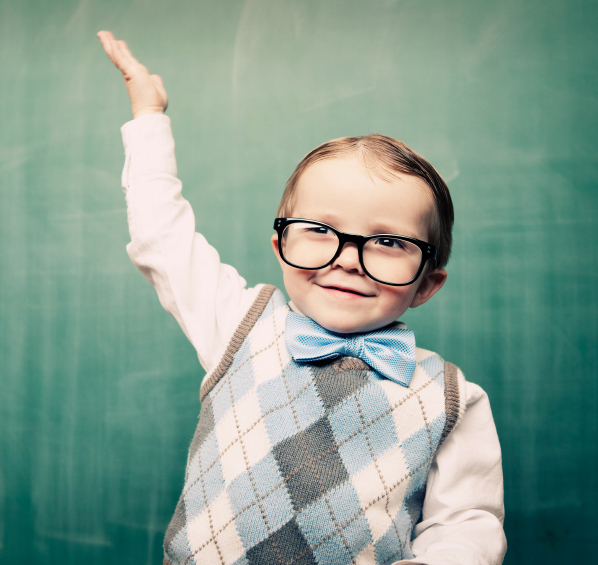 In the end, that is the important part – can you create a personalized site that is customized to fit your brand? With SnapShots, we will be able to very quickly develop new looks for you and expand the possibilities like never before. We are happy to announce our new even lower pricing for 2012! 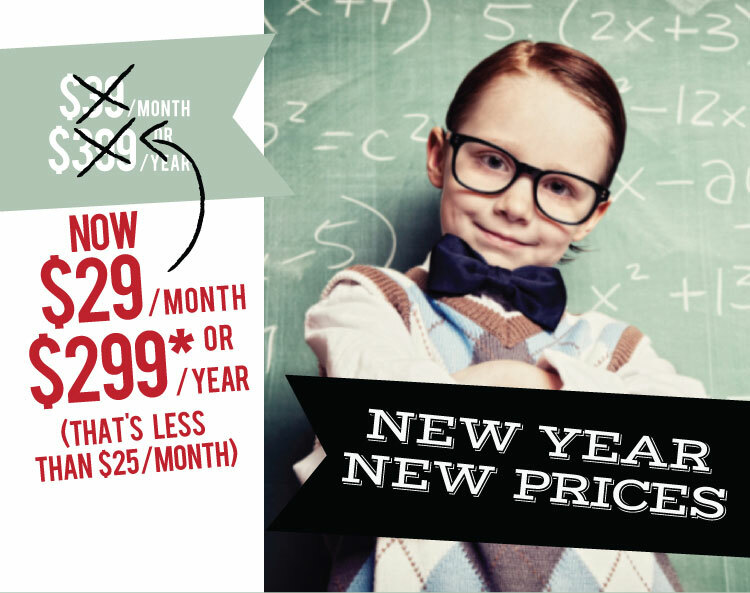 BlogSite subscriptions are now $29/month or $299/year! So why are we lowering the prices? In the time since we launched, we have been able to improve our entire process so much, that we decided to pass along the savings to our clients. Our sites have been tested, refined and improved. We have built and added new features. Our server has been optimized and tweaked. Our support system has been streamlined, and we have found and squashed bugs thanks to the input of all our amazing BlogSite owners. One of the founding principals of Photography BlogSites was to make the process of getting your small business online, easier. Part of that process is to make the maintenance of your professional website as affordable as possible. This is just another step towards that goal. What about current BlogSite accounts? If you are a current Photography BlogSite owner the new lower pricing will automatically be reflected in your next billing cycle. You don’t need to do a thing. It is all just a part of that “full service” you have come to expect from us. You may have seen emails from us explaining the changes, but if you have any questions about how the new prices effect your account, just let us know. Integration and Extra Savings for SmugMug Power and Pro Users. We have extended our SmugMug Integration to Power Users. Now SmugMug Power Users can enjoy the same integration benefits as Pro Users. And because we always have a special place in our hearts for our SmugMug clients, we have included an extra discount of $50 off your first year. Once you are authorized, new features and pricing options open up for SmugMug Power and Pro users.